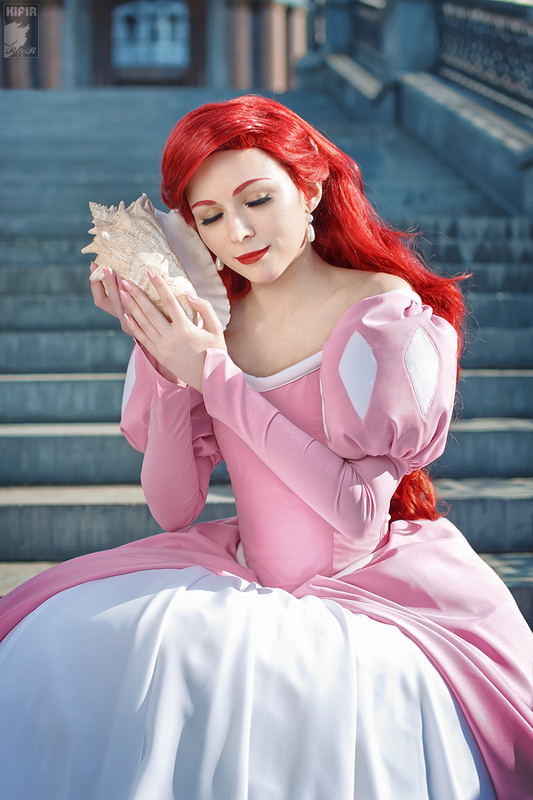 Ariel Cosplay. . HD Wallpaper and background images in the Ariel and Eric club tagged: ariel the little mermaid disney melody. This Ariel and Eric fan art might contain bouquet, corsage, posy, nosegay, cocktail dress, sheath, and frock.